This silk press was one of the best silk press transformations to date that I have done. 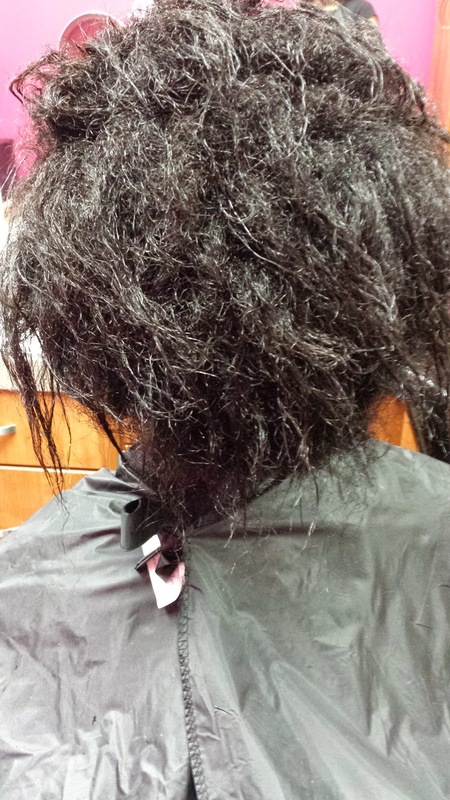 This client has been growing her relaxer out since last year. 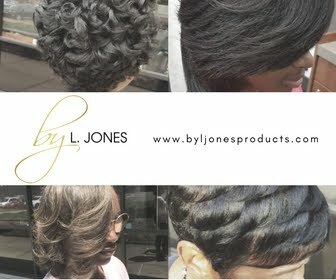 She has been getting sew ins for the convenience and to help her in the transition. 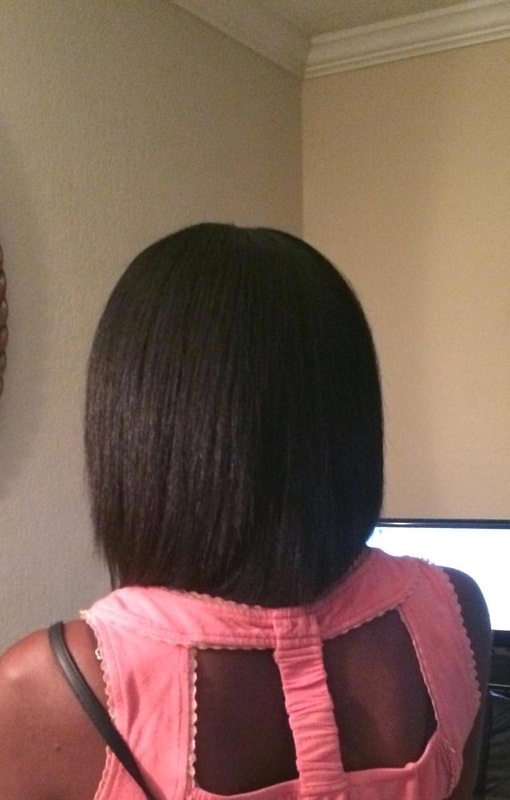 I must say that her hair has grown tremendously with the help of her sew-ins! 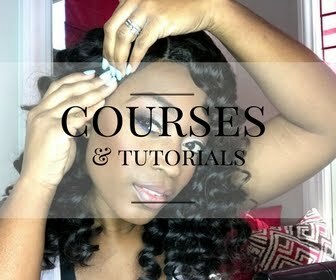 A lot of people say that sew-ins can damage your hair but that is just not true. If your hair is already damaged and you try to get a sew in, yes your hair will only get worse. Also if the braids are too tight or there is too much tension on your hair from it not being healthy in the first place then yes you could see damage. 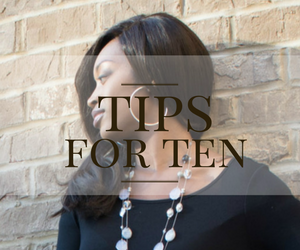 However, if your hair is healthy to begin with and you decide you want a sew in, you will see significant growth in your hair. This is the before picture of her hair. As you can see it is very, very thick. From the pic it looks like it is matted but it really is not. It is slightly tangled but it is just so thick that it looks that way. I could barely even see her scalp while I was detangling. 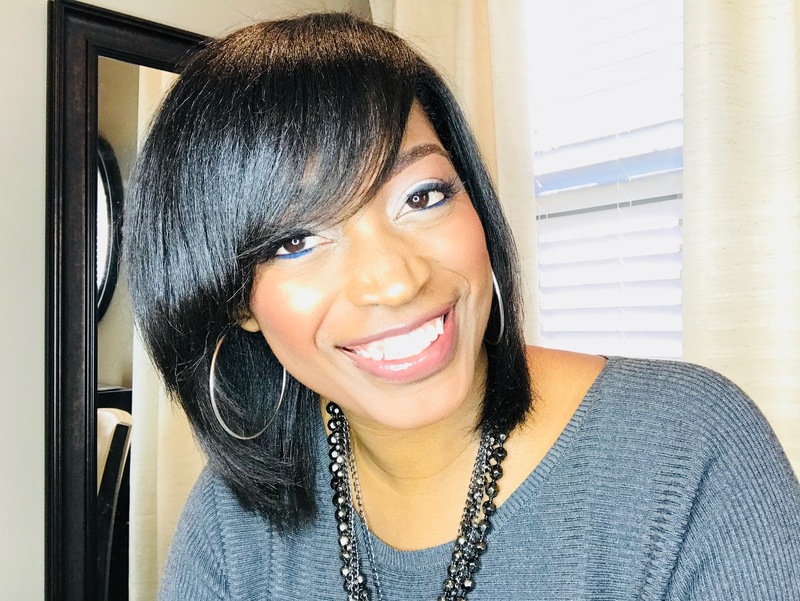 I began by using all Silk Hydration products including the clarifying shampoo, moisturizing shampoo, daily conditioner, and leave-in conditioner. I wanted to use moisturizing products because she is giving her hair a break from sew-ins for a moment so this was my chance to shampoo and moisturize her real hair pretty good. After blow drying I began pressing it out with the flat iron. 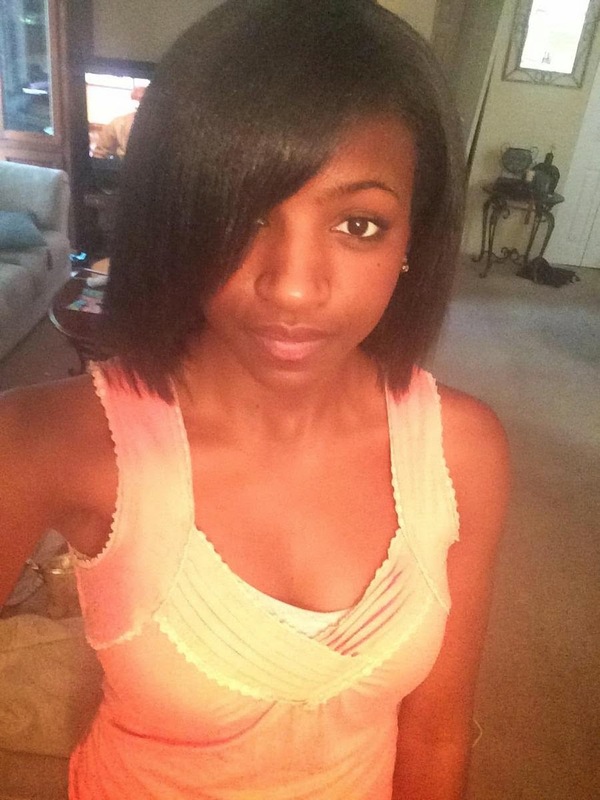 I only went through each section of hair one time with the flat iron to ensure no heat damage. So even though her hair got this straight, it will immediately revert back to its natural state in the event that moisture gets to it. To take care of it she can wrap it every night and it will stay straight.